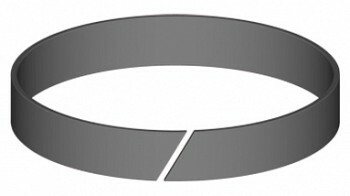 Machined precision wear guides are ideal for when tolerance stacking becomes critical for an application. Rather than molded, these wear guides are machined to offer significantly tighter thickness tolerances than molded wear guides. The tighter thickness tolerances allow greater precision clearance control. They also help maximize the available bearing surface, which is designed to fit either rod or piston applications.